At 20-years-old, Wren is a depressed Millennial struggling with depression after the suicide of one of her peers. She consents to treatment at a local New Orleans psychiatric hospital, but after she arrives realizes that she has been sent to an under-funded facility that lacks the proper attention and full-time staff to properly help their patients. With the help of her family, Wren realizes there are ulterior motives behind the reasoning for keeping her there. Checkout Caitlin's IMDb page here. Hallie is known for her role as the mom (Jo McGuire) on Disney's LIZZIE MCGUIRE and THE LIZZIE MCGUIRE MOVIE. Checkout Hallie's IMDb page here. Anil Bajaj is the DOCTOR. Checkout Anil's IMDb page here. Checkout Tenea's IMDb page here. Checkout Chip's IMDb page here. Johnny Ballance is THERAPIST LEE. Tressler Burton is NURSE RANDALL. Checkout Tressler's IMDb page here. Eduardo Losan is the TECHNICIAN. Checkout Eduardo's IMDb page here. Charlotte Manning is a writer, director, and actor born and raised in Los Angeles, CA. She is currently a Junior Assistant at Scott Rudin Productions while completing her senior year at NYU’s Tisch School of the Arts, majoring in Film and TV. Charlotte is passionate about using film to inspire and empower women by telling their stories. Her short film Carousel received accolades at NYU's New Visions and Voices Festival for Ensemble Cast. Her most recent projects include promotional films for the Los Angeles County Museum of Art as well as The Malibu Life, a luxury real estate company founded by Madison Hildebrand of Bravo's "Million Dollar Listings." Checkout Daniel's IMDb page here. Jenna Kaplan is a Boston born, New York based producer. After recently graduating NYU Tisch School of the Arts, as a Film and Television Production major. Her past work includes interning for The Tonight Show Starring Jimmy Fallon, MTV, Food Network’s Chopped, Netflix Original Series The Character’s, and Tribeca Productions. Jenna is also praying to marry a nice Jewish boy. Connor Ross McVay is a filmmaker from South Florida. He graduated from NYU Tisch in Fall 2016 with a degree in Film and TV Production. Connor has worked on many projects in a variety of positions and has a well rounded understanding of the production process. (He is currently based in New York and specializes in producing student films in New Orleans. A television and film Producer, Charles is a NYC [Maryland-native] emerging talent whose credits include Scott Rudin Productions, Showtime, GQ, HBO, the Food Network and Fisher-Price, among a countless number of independent stage and theatrical productions. With this range of production experience, and a B.S. in Biology, Charles’ unshakeable faith (in “knowing the power of loving oneself”) commands an unrelenting focus. The “empowering message”, to any story, is the paramount principle to this rising-juggernaut filmmaker. A Los Angeles native, Gracie Markland has been working both in front of and behind the camera since she was 5-years-old. A recent NYU Tisch graduate, Gracie is currently working for director Matthew Ross as his assistant. She's produced numerous student films and has worked as a Production Assistant on many top-tier productions in the New York area, including The Only Living Boy in New York, HBO's The Deuce and Woody Allen's Summer Project. Maria Marrone is a Venezuelan filmmaker and photographer based in Brooklyn. In her undergraduate career at NYU, she has worked on a variety of projects as a production designer and art director including fashion films, commercials, and narrative shorts. She is also a freelance photographer and has been featured in a variety of online publications including i-D Magazine and Dazed Digital for her work. Raised in Meridian, Mississippi, Rachel Rae Varela is a Los Angeles and New Orleans-based filmmaker and actress. A recent Tulane graduate with a B.A. in digital media production and theater, she currently interns for a theatrical talent agency. She has assisted in casting for the Disney Broadway tours and numerous student shorts. Erin McCluskey is a New Orleans based actress and model from Ridgefield, CT. She studied at Tulane University where she double majored in Theater Performance and Psychology. Erin has since performed in a number of award winning stage and film productions, commercials, music videos, and runway shows that have established her presence in the local Southeast entertainment industry.Due to her widespread connections to the acting community, Erin was brought on as a casting associate for Hello My Friend, to hire all local actors from the surrounding Southeast region. Erin is repped by CTG South. Hunter Thomas is a New Orleans Native. He knew that film was his career of choice at the age of 4. after watching the Christmas Classic Die Hard. His career really took off after graduated NOCCA (New Orleans Center for the Creative Arts). Since June 2016, he has worked on 4 feature films, 8 TV Shows/Pilots, and 10 Music Videos, as well as numerous short films. He now owns a commercial firm called Concept 13 Studios LLC. Lots of local clients, as well as some national and international clients. Being blind in 1 eye, no one expects him to be a visual person, but he makes an incredible 1st AC. 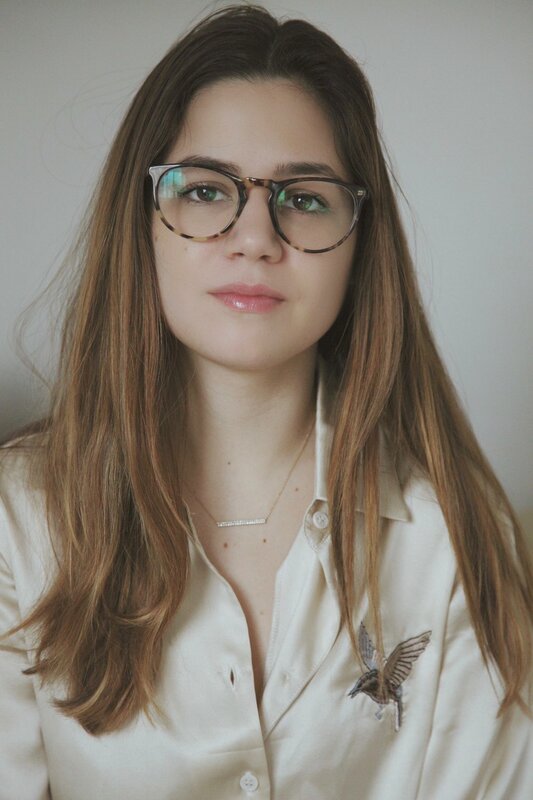 Madeline is an editor, screenwriter, actor, and director studying at NYU Tisch School of the Arts. She has interned for producers Denise Di Novi and Harvey Weinstein, as well as casting directors Heidi Levitt and Jakki Fink. Since her time at NYU, she has edited countless short films, music videos for Kevin Abstract, Brockhampton, and Kiah Victoria, as well as a four part web-series, a mock PSA, and commercials for companies Stratus and HubHu. Her short-form documentary Aerial Art, which she directed and edited, won the Audience Choice Award at Tisch in 2014. Why tell this story? There is often a stigma attached to mental illness that results in the topic being brushed under the rug and ignored. We want to help raise awareness to the under-funded wards and the fact that mental health is constantly being put on the back-burner. There are millions of Americans who cannot afford proper mental health treatment (such as a therapist or a private psychiatric hospital) and go to public psych wards to seek help, yet cannot get the adequate services their mental illness requires. Suicide is the 10th leading cause of death in the U.S.,20 the 3rd leading cause of death for people aged 10–24 and the 2nd leading cause of death for people aged 15–24. A rainbow of shotgun homes whipped past the window of our rental car. Maria Marrone, my production designer and honorary DJ, turned up the Beatles as we sped through the battered New Orleans streets and onto the highway. My director of photography, Joshua Herzog, nodded off in the passenger seat. An array of lighting gels and gaff tape jutted out from the backseat and lightly licked his arm. The pre-production process, filled with hiccups and sleepless nights, had worn us down before we even began. After locations falling through, our lead actor dropping only a week before production, and watching the money we raised quickly draining from our account, it was a miracle we were there. I sent up a prayer, thanking whatever spiritual unknown that may have helped us along the way. Charlotte & the lovely Hallie Todd, from Disney's LIZZIE MCGUIRE, who was cast in HELLO, MY FRIEND.